The Avaya IP Office Platform gives your entire organization the ability to collaborate and connect in real-time, without limitations, using appropriate and available devices – including home phones, laptops, office phones, Smart phones, and tablets. An Avaya IP Office Platform is designed to offer small to midsize businesses the collaboration tools needed, from basic telephony to the most advanced unified communications, including video conferencing. Growing from 5 to 1,000 employees (at a single site) with networking for up to 32 locations. 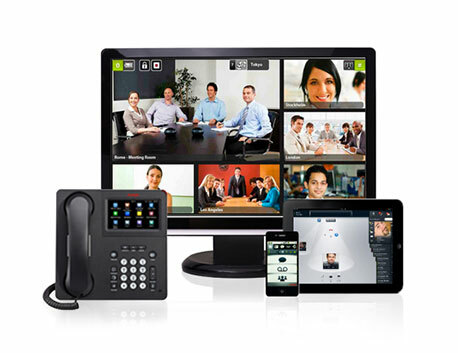 Collaborating through video: use built-in video softphones, integrate with Avaya Flare® Experience, or add the full-featured video collaboration solution for IP Office to create a virtual conference room for mobile, desktop and room-system video collaboration. Delivery of applications to everyone: mobile and office workers, receptionists, remote staff, and customer service agents and supervisors. Record, Report, and Track calls to create optimal interactions with customers. Use analog, digital, IP or SIP technology in any combination. IP Office interoperates with more than 2 million Avaya systems worldwide. Combine IP Office with Avaya data networking products (with plug-and-play simplicity), security features, intuitive and centralized management tools, and affordable support services for a comprehensive communications solution. Scale cost-effectively as your business grows. Simply build on what you have, without the need to replace technology. Contact us today to see how you can benefit from an Avaya communication manager in Conreo. With more than 300,000 systems installed worldwide, IP Office is the leader in unified communications for small and midsize businesses. Avaya IP Office was awarded Unified Communications Product of the Year in 2012 from Internet Telephony Magazine.